Europe was rocked again this morning after a series of explosions across the Belgian capital Brussels. 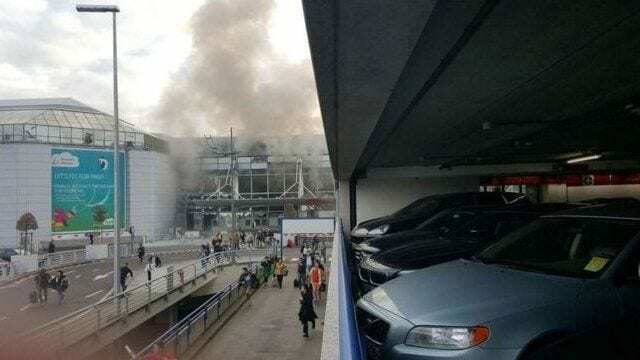 There were two explosions at around 08:00 (07:00 GMT) at Zaventem airport as people queued to check in. Shots were heard before the explosions, and shouts in Arabic, which appear to have struck near the American Airlines and Brussels Airline check in desk. Some time later there was also a blast at Maalbeek metro station, very close to the city’s main European Union buildings. The Belgian government has raised the terror alert level to 4 across the country, the highest level. Security at UK airports and rail stations have been stepped up to protect any possible attacks on British soil. 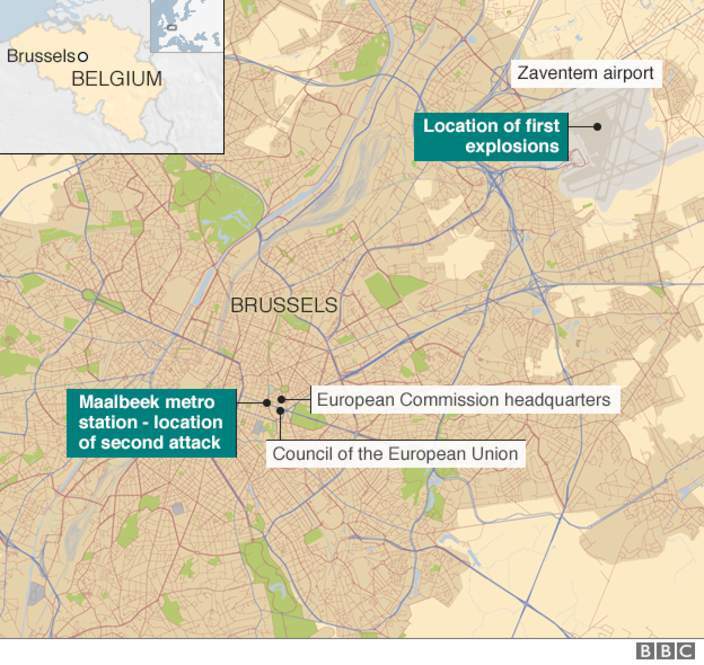 A blast was reported at Maalbeek metro station, close to the city’s EU buildings.